Playfields are shipped to us from our major suppliers as firsts. As with original playfields each playfield has its own anomalies which for the vast majority are insignificant. For the absolute perfectionists, PPS offers a Playfield Inspection service. Without the service, the playfield will be shipped as it was shipped to us, and any concerns would be addressed by the customer with the supplier directly. 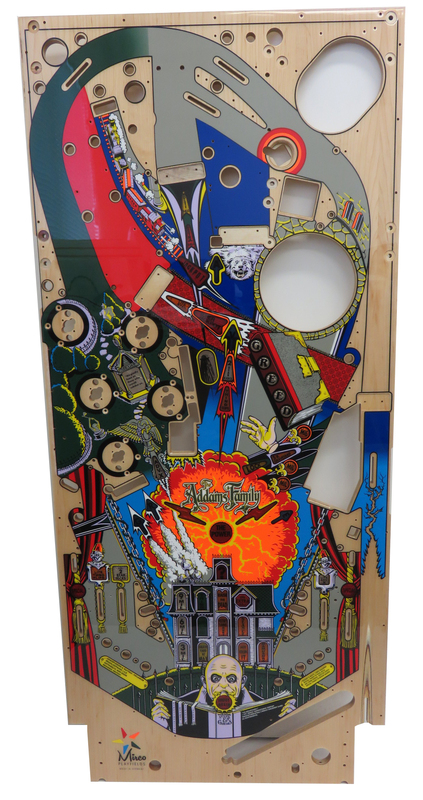 Note that very minor issues which are/were in most playfield are a matter of fact with playfields (slight insert inclusions, minor dust particles in clear, woodgrain patterns in shooter lanes, very slight art and/or silkscreen registration, etc. These are all considered normal anomalies in a playfield. Also note that we demand and expect high quality playfields from our suppliers, it's just that each customer's needs and expectations vary.